RomanCart is the easiest way to add a store to an existing website. Simply paste on 'Buy Now' buttons, Button Widgets, or an entire Store onto your webpage. Great for Wordpress, Facebook or any website. 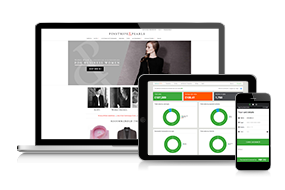 Also gives you a complete mobile ecommerce website and great marketing tools. 52000+ Users. RomanCart was founded in 1999 with the aim of helping merchants sell more of their items. 15 Years later, RomanCart is the UK's leading hosted shopping cart system for existing websites. Now though we don't just give you buttons to paste onto your web pages, you can paste an entire store! Simply paste a couple of lines of code onto any web page and a great looking store will instantly appear. We are UK based in the beautiful city of Bath. 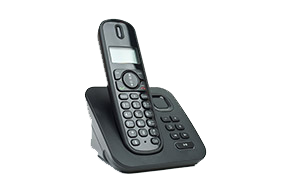 If you have any questions please give our support team a call on 01225 588000. Add 'Buy Now' buttons to any website. Sell on Facebook with your own Facebook store. 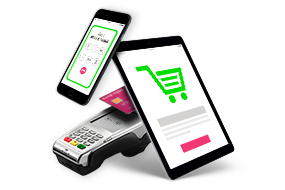 Instant Mobile Ecommerce website - simply paste a line of code onto your home page. Totally customizable, your cart and store can look like whatever you like. The UK's leading hosted shopping cart with over 52,000 Users.